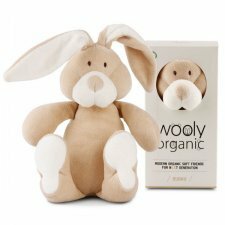 This adorable Wooly Organic Toy is a wonderful soft companion for toddlers. A furry friend that they can walk around and play with its floppy legs and arms. The toy is 17cm high when sittin and he comes in a lovely gift box. 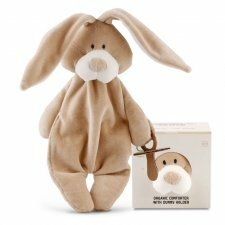 Soft toy bunny Tino made from organic cotton terry, the head is filled with natural materials. Made of 100% organic cotton. Colours: off white, old pink, blue or mint. Is manufactured in accordance with the OKO-Tex 100 standard, G.O.T.S certified and with the CE mark. Packaging: FSC certified cardboard printed with soy ink. The body is made from 100% natural cotton terrycloth. Cotty is completely machine washable. An inseparable friend for every baby. 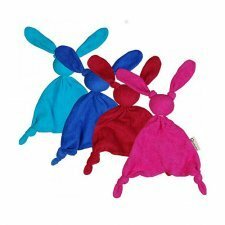 Zmooz is available in the colours: blue, light blue, pink or red. 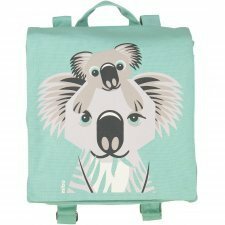 Zmooz is made from organic cotton. The head's filling is safely self-contained. It has no parts that can come loose and complies with all European and American requirements for toys. Zmooz is machine-washable at 30ºC and is suitable for tumble dryers. Available colours: white with green hat, orange hat or blue hat. Size: lenght approx 24 cm hat excluded. 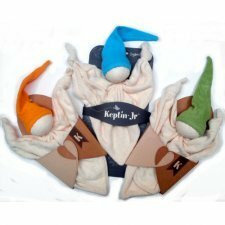 All Keptin products are made from natural materials such as 100% organic cotton. 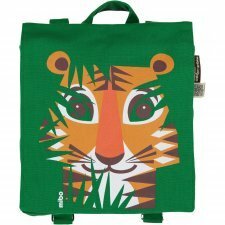 The sinplicity of the design stimulates the child's creativity and the high quality of the product guarantees it will last. 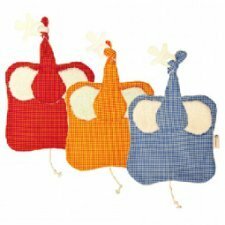 Zmooz small is a best friend for babies from 0 to 9 months old. 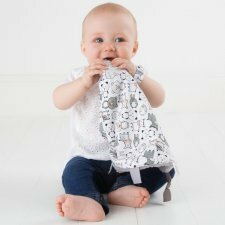 Not only is Zmooz durable and made from organic materials, Zmooz is also ideally suited to all the needs and requirements of babies. Zmooz has a soft velour structure and is extremely suitable for both cuddling and sucking. The body piece of Zmooz is flexible and yet firm. 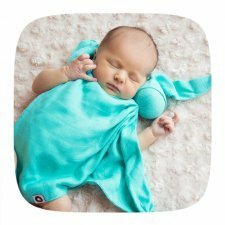 Babies find comfort, recovery and security with Zmooz after an exciting day full of new stimuli. Newborns especially need a calm environment with few contrasts and that is why Zmooz’s cap has a soft pastel colour. 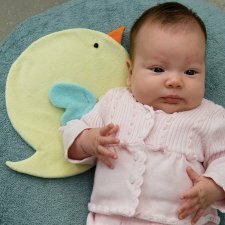 Babies can recharge and rest with their best and softest buddy. The gentle facial features of Zmooz draw recognition and stimulate the emotional bonding in the first life phase. 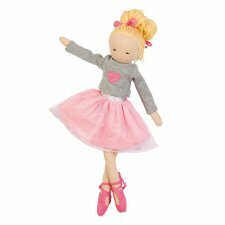 Zmooz is available in the pastel colours: pink, sky, lime and peach. Material: velvet 80% organic cotton and 20% polyester. Available colours: white with orange hat or blue hat. Size: lenght approx 17 cm hat excluded. 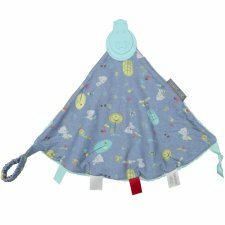 Doggie blankie plush toy is made from 100% organic cotton as well as the filling. 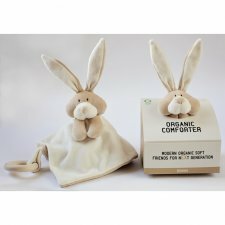 This 100% finest, natural and pure cotton is soft, cuddly, comfortable, and safe for baby's sensitive skins. 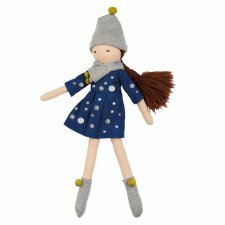 An extremely fine bamboo cuddly toy made of bamboo viscose and cotton, woven the hollow braid method. 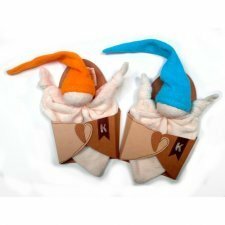 Bamboo cuddly toy XKKO BMB is fine, antibacterial and does not cause any allergic reaction. It is an invaluable tool for calming children since it helps to create a sense of security and comfort, which is so important to the baby. We recommend the bamboo cuddly toy everywhere a baby needs to calm down and substitute for mum or dad for a while. The bamboo cuddly toy XKKO BMB absorbs your scent very well. The baby feels you from the cuddly toy, thus helping to create a sense of security and comfort, which is so important to the baby. Colour: turquoise, white with hearts, white with stars. Available: birdie, owl, hedgehog, fox. Certified organic and safe from small children and babies.